For quite a few years The Jim Henson Company has been working on The Happytime Murders, but despite plans to shoot in 2010 and 2012, and stars likes Katherine Heigl, Cameron Diaz and Jamie Foxx linked to it at various times, the project remained stuck in development hell. 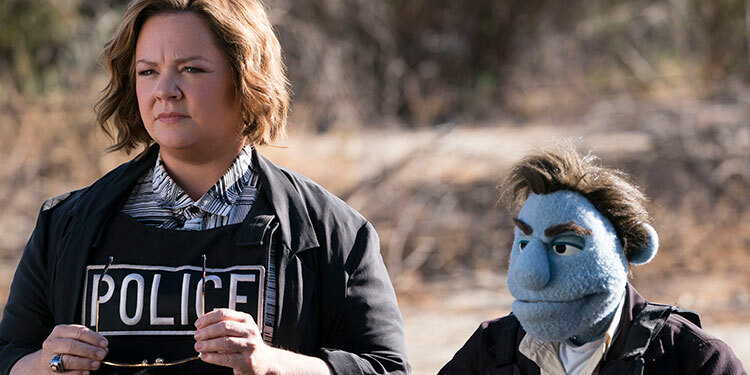 ​Now though it’s in the can with Melissa McCarthy starring, even if it did have a few troubles after the first trailer and poster was released, when the owners of Sesame Street sued them as they felt this very grown-up puppet movie was trying to link itself to the kids programme. That lawsuit quickly went away, and now a new trailer has arrived to give us a fresh look at some very rude puppetry. Joel McHale, Maya Rudolph and Elizabeth Banks also star. Take a look at the new trailer below. The movie will be in cinemas on August 27th.